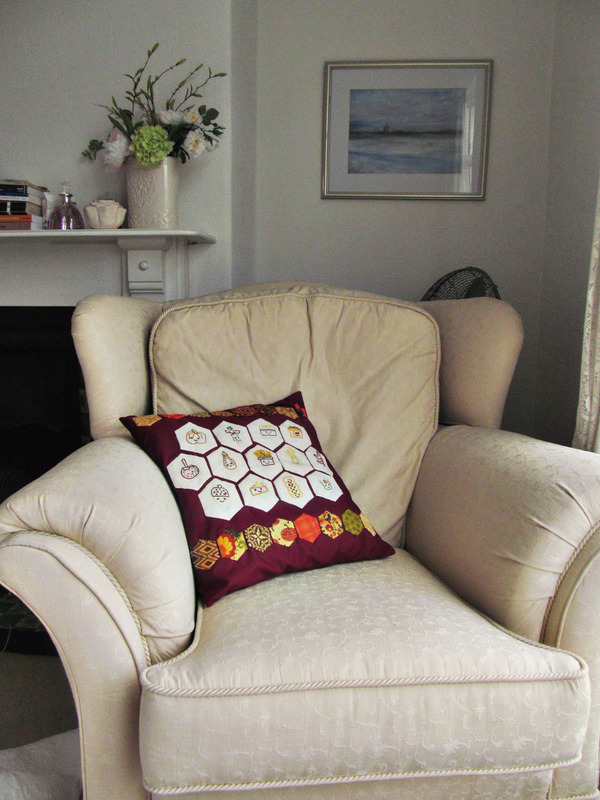 Browse: Home / 2014 / February / Autumn Stitching Club, The Finale! Do you remember I started Wild Olive’s Autumn Stitching Club back in September? Well I’ve finished! 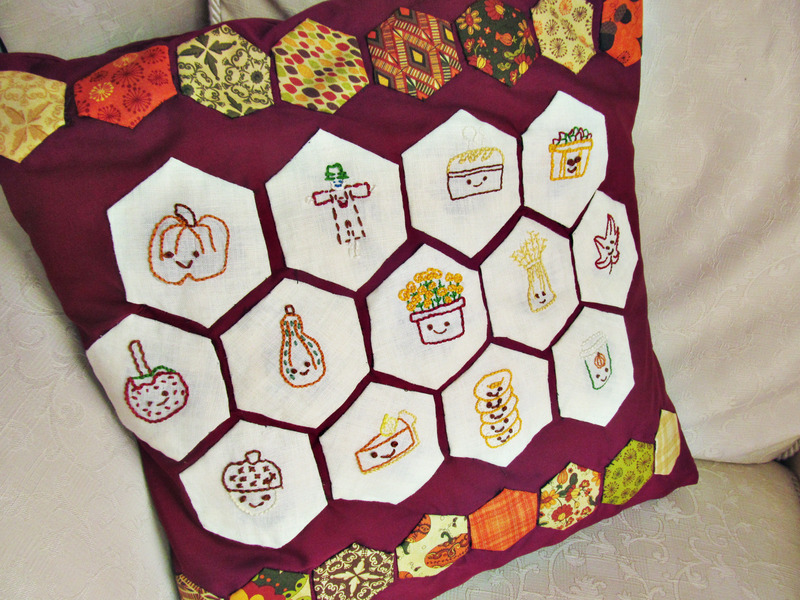 After stitching (and blogging about) thirteen autumn-themed patterns, I turned them into hexagons, made sixteen little hexagons from patterned fabric and sewed myself a cushion cover. 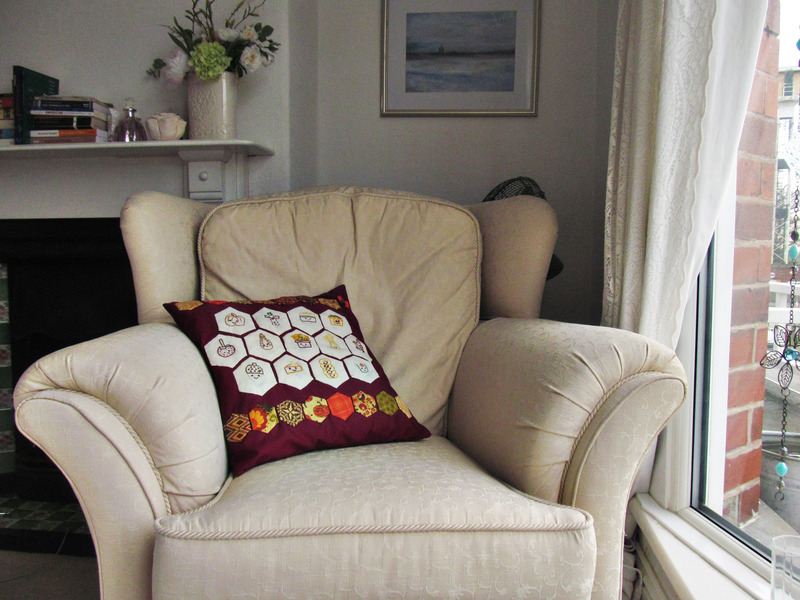 A lot of work has gone into this little cushion, and I’m so pleased with it. It’s not exactly autumn right now, but I’m going to display it proudly on my armchair anyway. This was a really fun way to learn to embroider, and I’m so glad I took part. It always feel good to learn a new skill and have something to show for it. Adorable! What a great pillow love! Wow – what a lovely cushion! it is so good to see the final result after watching you work on the individual panels. I really love the collours you have used too. Look at all these happy faces, I especially like the pumpkin. Such a fun piece of art to have! This is wonderful! I’m so glad that you followed through and created such a fine finished product from the little pieces of embroidery! 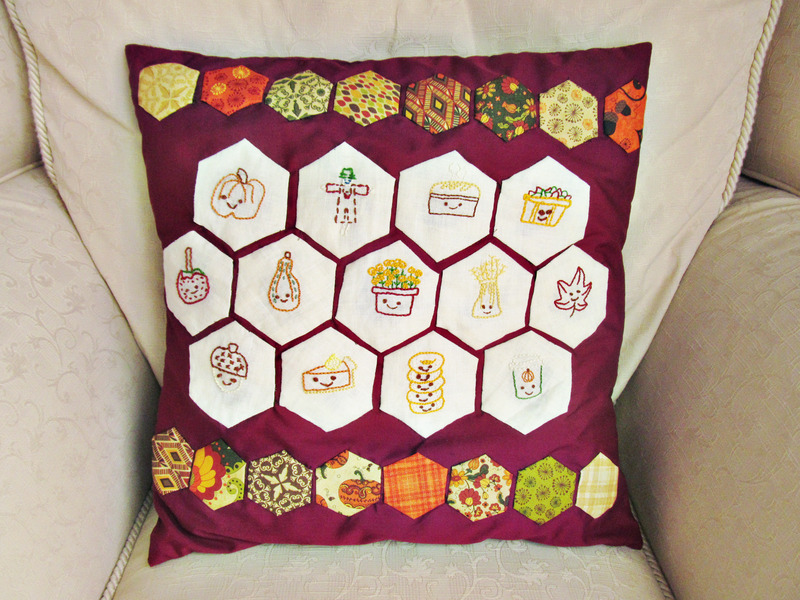 This is an adorable pillow – congratulations on all your work, which is flawless! Know you’ll treasure this for a long time to come. It came out beautifully! Definitely worth the time put in and wait! Aaaah, I die! This pillow is the best!